It’s time to get creative in the housing market. And that’s just what some architects have done. Across the world, resourceful home designers are turning to a new building material to create their designs: corrugated steel shipping containers. 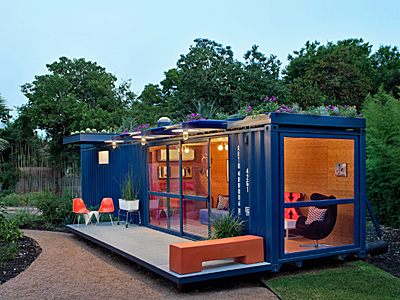 The box-homes can be a structure made from one container, with everything essential for living stuffed inside, or the containers can be used in a number of other ways, including window fronts.